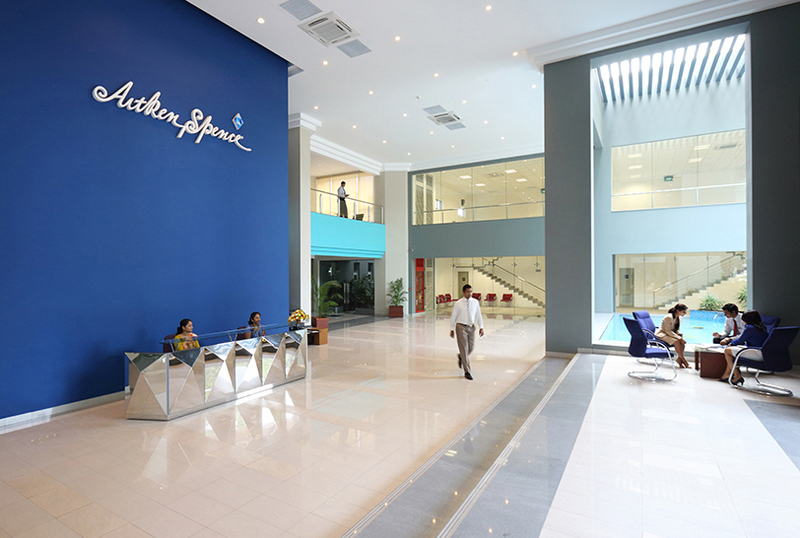 Blue chip conglomerate Aitken Spence PLC reported its annual financial results for 2014/15 to the Colombo Stock Exchange on Monday, reporting a profit before tax of Rs 5.7 billion and profit after tax of Rs. 4.9 billion, a growth of 4.9 per cent and 6.6 per cent respectively. The diversified Group’s annual revenue rose a marginal 0.7 percent to Rs. 35.3 billion whilst earnings per share declined by 2.5 per cent to Rs. 8.82 for the financial year. “Although this year has been a difficult year in terms of performance, it must be noted that while riding the wave of external challenges, we have turned inwards to strengthen ourselves to reap the opportunities of the future. We are thus optimistic about the future growth of the Company”, said Aitken Spence PLC’s Chairman, Deshamanya D H S Jayawardena. “Aitken Spence has recorded another year of resilient performance. Diversification held the Group in good stead in 2014/15, to grow amidst challenging global economic conditions and intense competition”, said J M S Brito, Deputy Chairman and Managing Director of Aitken Spence PLC. The revenue of the tourism sector for the financial year grew by 5.1 per cent to Rs. 17.8 billion whilst recording a profit before tax of Rs. 4.2 billion and a profit after tax of Rs. 3.7 billion, a decline of 2.2 per cent and 1.2 per cent respectively, for the year. The decline in tourism sector bottom line was mainly due to the decline in profits from hotels in Sri Lanka and overseas which was primarily attributable to the adverse impacts of the global political and economic climate. 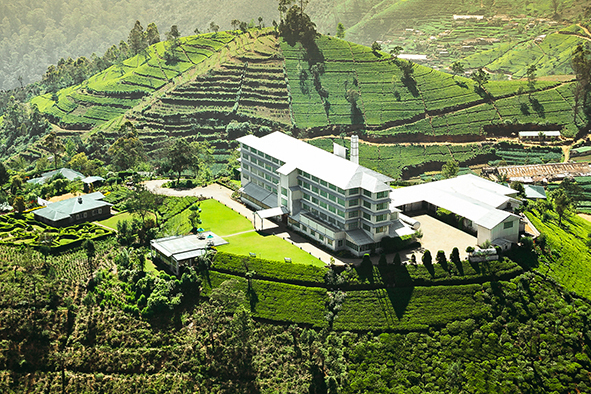 The company owns and manages a chain of hotels in Sri Lanka, Maldives, Oman and India. The Group’s destination management segment performed remarkably well. Aitken Spence Travels is Sri Lanka’s largest destination management company which during 2014/15, became the first and only company to handle 100,000 tourists to the country within a financial year. “The coming year will be an exciting one for the sector, as we add Heritance Negombo to our portfolio and also expand capacity at The Sands, Kalutara by 91 rooms. Construction of the RIU Hotel in Ahungalla is well on target and we are excited by the possibilities offered by our partnership with RIU, and its parent company TUI” added J M S Brito, Deputy Chairman and Managing Director of Aitken Spence PLC. Annual revenue for the Maritime Logistics sector increased by 3.9 per cent to Rs. 7.7 billion whilst profits before tax increased by 4.3 per cent to Rs. 735 million and profit after tax increased by 8.1 per cent to Rs. 614 million. The Maritime and Logistic sector experienced weaker performances from the freight forwarding and the logistics segments whilst overseas investments performed well. Strategic Investments sector’s profits surged during the year, with profit before tax swelling by 207 per cent and profit after tax rising by 341 per cent to Rs. 613 million and Rs. 509 million respectively. However, the sector reported a year-on-year decrease of 6.4 per cent in revenue to Rs. 15.2 billion mainly due to the reduction in revenue from the power segment. The sector’s printing and garments segments have reported exceptional performances. The Company expanded the garment sector’s production capacity by up to 40 per cent during the period under review, by commissioning a new environment-friendly production facility in Koggala. The plant was built in four months and will create 750 jobs once in full operation. The Plantations segment reported outstanding results driven by an efficient diversification initiative. The Power generation segment also showed an increase in profits compared to the previous year due to the sale of two idling power plants which resulted in a lower cost of maintenance. With a history spanning 150 years, Aitken Spence PLC is among Sri Lanka’s leading and most respected corporate entities with operations in South Asia, the Middle East, Africa and South Pacific. Listed in the Colombo Stock Exchange since 1983, it is an industry leader in hotels, travel, maritime services, logistics, power generation and printing, with a significant presence in plantations, apparel, financial services, insurance and information technology. Five Aitken Spence properties from Sri Lanka and the Maldives have entered the prestigious TripAdvisor Hall of Fame having being recognized for its consistent high performance in customer reviews. 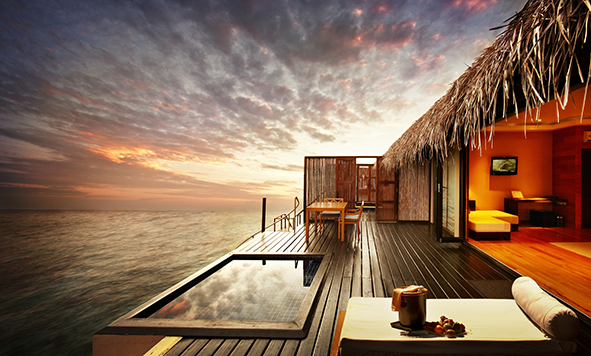 The world’s largest travel site recognized Adaaran Prestige Vadoo, Adaaran Prestige Water Villas, Adaaran Select Meedhupparu, Heritance Kandalama and Heritance Tea Factory for obtaining the Certificate of Excellence for the fifth consecutive year. Nine Aitken Spence Resorts received the Certificate of Excellence from TripAdvisor. The Certificate of Excellence is awarded to properties that consistently achieve outstanding traveler reviews on the travel review site. In addition to the hotels recognized in the Hall of Fame, Adaaran Select Hudhuranfushi, Adaaran Club Rannalhi, Heritance Ahungalla and Heritance Ayurveda Maha Gedara were awarded Certificates of Excellence for its ability to continuously deliver on a superior customer service experience. “We have always strived for excellence and have nurtured a reputation of exceeding guest expectations. The recognition received by the resorts bear testimony to the exceptional service and memorable experiences that guests receive from our iconic properties. I would like to congratulate the resorts on their achievement and encourage them to maintain the standards set and continue to exceed expectations” said, Mr. Susith Jayawickrama, Managing Director of Aitken Spence Hotels. TripAdvisor enables travelers to plan and book the perfect trip and offers advice from millions of travelers and a wide variety of travel choices. The site’s potential reach is 340 million unique monthly visitors and more than 225 million reviews and opinions covering more than 4.9 million accommodations, restaurants and attractions. Aitken Spence Hotels manage a portfolio of hotels and resorts in Sri Lanka, Maldives, India and Oman. Its premier brand in Sri Lanka, Heritance Hotels & Resorts, operates a portfolio of five unique properties in scenic locations across the island while its award winning properties in the Maldives operate under the brand Adaaran Resorts.